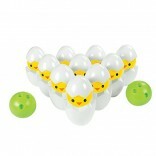 Getting ready to host an Easter soiree at your house or a nearby location? Or, maybe you’re the guest of a bowling partner’s upcoming festivity and have agreed to arrive early in order to help out with the setup. Whatever the case, you’re probably wondering what would be the best way to go about adorning the atmosphere and making people feel really welcome. 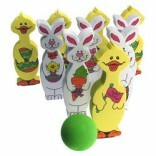 Let Bowling Delights take the burden off your hands and deliver high quality bowling Easter party decorations that are stylish and well within your price range. Known as the most reputable and convenient online retail provider in the world of bowling, our privately owned company is committed to offering top notch merchandise to this sport’s participants and fanatics. Our unbelievably low prices are topped by online-only specials that nearly leave you with zilch to pay. We want you to have fun on your journey to finding the best bowling-oriented items and enjoy the experience almost as much as you enjoying pursuing the sport. Being a great party planner or event coordinator takes an excellent eye for detail and a large amount of originality. Without these traits, you’ll easily lose momentum and the occasion won’t live up to the awesome festivity that it clearly has to potential to be. 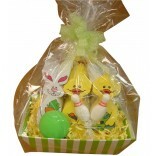 Put on your creative hat and check out our bowling Easter party decorations which feature Bunny & Chick Foam Bowling sets, as well as Easter bunny Bowling Gift Baskets. Start your search online or call us today at 1-877-777-2646 to secure the right items for the long-awaited Easter gathering. Prove that you can be a great host or assisting decorator and give your guests a memorable day that they’ll remember for a long time.